federated queries across different databases such as Ensembl (8) and UniProt (9) as well as PRIDE and Reactome—located on different servers or at different geographical locations. Federation utilizes shared common identifiers (IDs) e.g. Ensembl gene IDs, UniProt IDs. Development of a new BioMart tool BioMart has its own special data structure in order to allow very fast queries and efficient federation. It structures the user’s data into databases, which contain data sets. This allows the BioMart database designer to separate data into different types. The standard Reactome BioMart (10) has four data sets, pathway, reaction, complex and interaction. The pathway data set allows users to retrieve ID, name, species and several other attributes from all of Reactome’s pathways. It also uses dimension tables so that proteins, complexes and literature references associated with each pathway can also be retrieved. A large set of filters is provided, so that a user can, for instance, find all of the pathways associated with a given set of UniProt IDs. The reaction and complex data sets are structured very similarly to the pathway data set. The PRIDE BioMart can be used to interrogate the three different kinds of information stored—peptide and protein identifications derived from MS or MS/MS experiments, MS and MS/MS mass spectra as peak lists and any associated metadata. It also provides filtering by experiment, sample details, peptide identification, protein identification, mapped protein IDs and protein modification. The COSMICMart (11) consists of a single data set, which allows users to retrieve information about the sample, gene, mutation, site and histology, plus details such as Entrez, UniProt, Ensembl gene, PubMed and COSMIC study IDs. A large set of filters is provided, so that users can, for instance, find all the somatic mutations together with the sample details associated with a given set of UniProt IDs. In this article, we describe data integration from Reactome, PRIDE and COSMIC databases, based on updated data sets and newly created ‘canned’ queries. reaction or with federated data sets hosted elsewhere that share IDs e.g. UniProt, Ensembl and PSI-MOD IDs. To federate two data sets, BioMart’s MartEditor tool provides the means to edit each data set’s configuration XML by defining an ordered list of attributes that are common between the two data sets. The attributes from a data set to be shared with the second data set are referred to as the exportables, while those from another dataset to be used as filters in querying the dataset are referred to as importables. For a data set to link to a second data set, an importable needs to be created in that data set with the same linkName setting as the exportable. The linkName can either use a single-filter value system for the importable e.g. UniProt ID, or a multifilter value system as required e.g. for a combination of UniProt and PSI-MOD (12) IDs, as long as the attribute value(s) of the corresponding exportable are specified in the same order as the importable. We used BioMart’s capability of federating between multiple data sets based on shared IDs to define importables and exportables available for this data set. To link to PRIDE’s modification location table described below, a two-filter/attribute importable and exportable were defined using the shared UniProt and PSI-MOD IDs, while to link to the COSMICMart data set, the two-filter/attribute values were based on shared UniProt ID and modified/ mutated residue position. The Modification Location table in PRIDE The ‘Mapped Protein Modification (PTM) to UniProt Proteins Attributes—Reactome Link’ table on PRIDE BioMart data set was specifically created to capture phosphorylated proteins and their associated details such as the location of the modification, name of the modification, sample information including species, tissue, sub-cellular location and/or disease state, the sample used, and the spectrum for each peptide that was used in identifying the protein. The Resid (13) and Unimod (14) ontology terms were manually mapped to PSI-MOD (12) terms by a PRIDE curator for integration with Reactome’s ‘Protein’ data set, in order to link protein modification information (PSI-MOD) from a pathway context to MS data. All the low level PSI-MOD terms were also mapped to a top level PSI-MOD term i.e. all the serine, tyrosine and threonine phosphorylations have been mapped to modified residue terms, to simplify matching these terms across the two databases. modified/mutated residue position, respectively. The single input value filter ’Swissprot ID’ was changed to a multivalued input filter to allow users to query the data set using more than one UniProt ID. In addition, links were created from COSMICMart’s AA Mutation Start and AA Mutation Stop position attributes to the COSMIC gene histogram page, giving the user a graphical view of the spread of mutations in their region of interest on the gene sequence. The gene histogram page also offers a number of options for filtering the data, as well as pie charts, accessible by clicking the distribution button, summarizing the data. Database integration Based on the updated data sets, the Reactome BioMart can retrieve and integrate protein phosphorylation data derived from expert manual curation of the research literature (from Reactome) with data from high-throughput MS experiments (from PRIDE), link these data to known mutations affecting the amino acid sequences of proteins (from COSMIC) and to the roles of these proteins in complexes and reactions (from Reactome). A user might approach this system from the point of view of a protein of interest, seeking information on its modifications and their effects on its functions, or might approach from the point of view of a process of interest, seeking information on the proteins and complexes involved in it. We have developed ‘canned’ queries to facilitate these approaches. The ‘canned’ queries are also starting points from which a user can develop customized queries. The examples described here illustrate useful ‘canned’ approaches and one way in which such an approach might be customized. Figure 1. Select the appropriate canned query, in this case ‘Find all modified proteins in a pathway’. Figure 2. Canned query data input page. The user selects the pathway and species names from the respective drop down lists and then presses the ‘Run query’ button. input page and the results are presented in a BioMart results page (Figure 5) with the option to view the spectrum (Supplementary Figure S8). This query spans the ‘Protein’ and ‘PRIDE’ data sets. Query: ‘Check if modified protein has known cancer mutations’—users can also check if their protein of interest has any known somatic mutations that are linked to cancer through COSMIC by using the ‘Check if modified protein has known cancer mutations’ canned query. The user enters the UniProt ID(s) in a data input page and the results are presented in a BioMart results page (Figure 6). This query spans the ‘Protein’ and ‘COSMIC’ data sets. Figure 3. Results of finding all modified proteins in a pathway. The user is then able to inspect the retrieved proteins for the kinds of modification present on each protein (PSI-MOD), the modified residue in the protein, the cell compartment of the modified protein and the position of the modified residue on the protein if known (Modified Residue coordinate). Figure 4. Results of comparing modification locations between Reactome and PRIDE. The modified protein’s UniProt ID, its name, cellular compartment, the modified residue and its residue coordinate from Reactome are reported. PRIDE also reports corresponding details of the protein present in their database i.e. location of modification on protein, PSI-MOD name, ID and the UniProt Accession. Figure 5. Results of matching modified proteins in Reactome with the MS details available in PRIDE. The peptide sequence and the option to view the spectrum (Supplementary Figure S8) are returned in addition to the columns returned in Figure 4. Biological examples Using two case studies, we illustrate the new Reactome, COSMIC and PRIDE data integration that provides a new way of looking at known information residing in different databases. carcinogenesis is likely to be initiated in tissues with aberrant Wnt signaling activation due to mutations in genes encoding its downstream components such as b-catenin and the APC genes. The b-catenin protein (UniProt Accession: P35222) presents an instance where critical residues that are normally phosphorylated as part of the Wnt signaling pathway modulation and reported in the Reactome database (serine 45 and threonine 41), are mutated, leading to aberrant signaling associated with cancer as identified using Query 4: ‘Check if modified protein has known cancer mutations’. Each of the reported mutated residues in COSMIC has a link to the gene histogram page (Figure 7) by clicking either the value of AA Mutation Start or AA Mutation Stop column. The gene view histogram presents a graphical view of the spread of mutations in a region of interest, in this case showing that the phosphorylated residues serine 45 and threonine 41 on the b-catenin protein are lost. Figure 6. Results of checking if the modified protein has known cancer mutations. The modified protein’s UniProt ID, the COSMIC Sample ID and name, the gene name, the nucleotide and residue changes caused by the mutation, the zygosity, primary histology, tumor source and the reference paper for the study are returned. By further choosing more attributes finer details can be retrieved. The query spans the ‘Protein’ and ‘COSMIC’ data sets. localization, a variable ‘unique’ region, SH3 domain for binding to specific proline-rich sequences, SH2 domain that binds to specific tyrosine phosphorylation, SH1 catalytic tyrosine kinase domain, which is the autophosphorylation site and a short C-terminal region containing a conserved tyrosine residue. The two known functionally important tyrosine residues in the c-SRC protein are tyrosine 419 located in the SH1 catalytic tyrosine domain that is the autophosphorylation site, and tyrosine 530 contained in the short C-terminal region that is known to be the principal regulatory phosphotyrosine. The phosphorylation of c-SRC at C-terminal regulatory tyrosine 530 facilitates intramolecular binding to the SH2 domain causing the protein to be inactivated, whereas the dephosphorylation of tyrosine 530 disrupts this binding with the SH2 domain facilitating the autophosphorylation of tyrosine 419 leading to c-SRC activation (23). A truncating mutation at codon 531 (Glutamine to stop) occurs directly at C-terminal regulatory tyrosine 530 and appears to activate the tyrosine 530 in some cancers e.g. advanced colon cancers (22) and in some cases of endometrial carcinoma (24). Reactome reports both tyrosine 419 and tyrosine 530 as functionally important residues, PRIDE reports tyrosine 419, whereas COSMIC reports the truncating mutation at codon 531. Figure 7. A COSMIC Gene View histogram from clicking the ‘AA mutation start or AA mutation stop’ position. The amino acid serine at position 45 is mutated to a phenylalanine. high-throughput MS proteomics experiments. In these approaches, proteins are digested with a single protease, typically trypsin, and the resulting peptides—modified or not—are analyzed using a mass spectrometer (26). This experimental workflow has strengths and limitations that have been widely described before (27–29). This data will serve as a tool for validation and the potential addition of functional modification sites in Reactome. Discussion We have applied a key feature of BioMart, namely its capability to formulate queries across multiple independent BioMart installations, to link manually curated pathway data in Reactome to high-throughput phosphoproteomics data in PRIDE and somatic mutation data in COSMIC. Five of the 13 identified proteins that overlap between Reactome and PRIDE matched their phosphorylation positions perfectly, with PRIDE having more phosphorylations sites identified through high-throughput experiments. Once these additional phosphorylation sites are validated independently, they may or may not be functionally relevant and might then be added to Reactome annotation. The traditional concept of a functional active site is based on the assumption that protein phosphorylation modulates protein function through the specific position of the phosphorylation in the protein sequence. However, it has been recently argued that nonpositionally conserved phosphorylation sites may very well be functional, as the authors speculate that the nonpositionally conserved phosphorylation sites could be modulating biomolecular association of phosphorylated proteins possibly by fine-tuning the protein’s bulk electrostatic charge and by creating binding sites for phospho-binding interaction domains (30). This resource could be used to identify and differentiate the nonpositionally conserved modified sites. Annotated, functionally relevant phosphorylation sites in Reactome might be used as independent confirmation for a test set of high-confidence phosphoproteomics spectra, which is highly valuable for MS methods development. Preliminary results in Wnt signaling link known somatic mutation to annotated, functionally relevant phosphorylation sites in the Wnt pathway representation in Reactome, and thus to possible interpretation of carcinogenic effects of these mutations. We plan to extend our approach to other functionally relevant PTMs such as ubiquitination, acetylation and myristoylation. Acknowledgements The authors are grateful to Rebecca Shepherd from the Cancer Genome Project at the Sanger Institute, UK for creating the required links from COSMICMart to Reactome and for her comments on COSMICMart. ‘ProteomeXchange’ (grant number 260558). Funding for open access charge: National Institutes of Health (P41 HG003751). Conflict of interest. None declared. References 1. Campbell,D. and Morrice,N. (2002) Identification of protein phosphorylation sites by a combination of mass spectrometry and solid phase Edman sequencing. J. Biomol. Tech., 13, 119–130. 2. Steen,H., Jebanathirajah,J.A., Rush,J. et al. 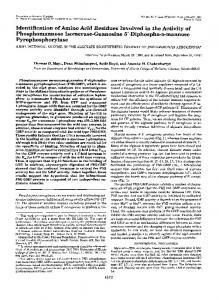 (2006) Phosphorylation analysis by mass spectrometry: myths, facts, and the consequences for qualitative and quantitative measurements. Mol. Cell Proteomics, 5, 172–181. 3. Gatto,L., Vizcaino,J.A., Hermjakob,H. et al. (2010) Organelle proteomics experimental designs and analysis. Proteomics, 10, 3957–3969. 4. Vizcaino,J.A., Cote,R., Reisinger,F. et al. (2010) The Proteomics Identifications database: 2010 update. Nucleic Acids Res., 38, D736–D742. 5. Croft,D., O’Kelly,G., Wu,G. et al. (2011) Reactome: a database of reactions, pathways and biological processes. Nucleic Acids Res., 39, D691–D697. 6. Forbes,S.A., Bindal,N., Bamford,S. et al. (2011) COSMIC: mining complete cancer genomes in the Catalogue of Somatic Mutations in Cancer. Nucleic Acids Res., 39, D945–D950. 7. Haider,S., Ballester,B., Smedley,D. et al. (2009) BioMart Central Portal–unified access to biological data. Nucleic Acids Res., 37, W23–W27. 8. Kersey,P.J., Lawson,D., Birney,E. et al. (2010) Ensembl genomes: extending Ensembl across the taxonomic space. Nucleic Acids Res., 38, D563–D569. 9. Magrane,M. and Consortium,U. (2011) UniProt knowledgebase: a hub of integrated protein data. Database, doi: 10.1093/database/ bar009. 10. Haw,R., Croft,D., Yung,C.K. et al. (2011) The Reactome BioMart. Database, (this special edition). 11. Shepherd,R., Forbes,S.A., Beare,D. et al. (2011) Data mining using the Catalogue of Somatic Mutations in Cancer BioMart. Database, doi: 10.1093/database/bar018. 12. Montecchi-Palazzi,L., Beavis,R., Binz,P.A. et al. (2008) The PSI-MOD community standard for representation of protein modification data. Nat. Biotechnol., 26, 864–866. 13. Garavelli,J.S. (2004) The RESID Database of Protein Modifications as a resource and annotation tool. Proteomics, 4, 1527–1533. 14. Creasy,D.M. and Cottrell,J.S. (2004) Unimod: protein modifications for mass spectrometry. Proteomics, 4, 1534–1536. 15. Fodde,R. and Brabletz,T. (2007) Wnt/beta-catenin signaling in cancer stemness and malignant behavior. Curr. Opin. Cell Biol., 19, 150–158. 16. Lowry,W.E., Blanpain,C., Nowak,J.A. et al. (2004) Defining the impact of beta-catenin/Tcf transactivation on epithelial stem cells. Genes Dev., 19, 1596–1611. 17. Woodward,W.A., Chen,M.S., Behbod,F. et al. (2005) On mammary stem cells. J. Cell Sci, 118, 3585–3594. 18. Reya,T., Duncan,A.W., Ailles,L. et al. 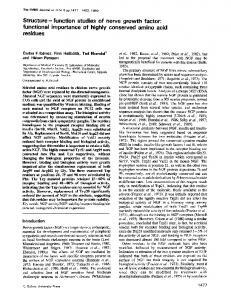 (2003) A role for Wnt signalling in self-renewal of haematopoietic stem cells. Nature, 423, 409–414. 19. Amit,S., Hatzubai,A., Birman,Y. et al. (2002) Axin-mediated CKI phosphorylation of beta-catenin at Ser 45: a molecular switch for the Wnt pathway. Genes Dev., 16, 1066–1076. 25. Grimsrud,P.A., Swaney,D.L., Wenger,C.D. et al. (2010) Phosphoproteomics for the masses. ACS Chem. Biol., 5, 105–119. 20. Segditsas,S. and Tomlinson,I. (2006) Colorectal cancer and genetic alterations in the Wnt pathway. Oncogene, 25, 7531–7537. 26. McDonald,W.H. and Yates,J.R. 3rd (2003) Shotgun proteomics: integrating technologies to answer biological questions. Curr. Opin. Mol. Ther., 5, 302–309. 21. Homsi,J., Cubitt,C. and Daud,A. (2007) The Src signaling pathway: a potential target in melanoma and other malignancies. Expert Opin. Ther. Targets, 11, 91–100. 27. Elias,J.E. and Gygi,S.P. (2007) Target-decoy search strategy for increased confidence in large-scale protein identifications by mass spectrometry. Nat. Methods, 4, 207–214. 22. Irby,R.B., Mao,W., Coppola,D. et al. (1999) Activating SRC mutation in a subset of advanced human colon cancers. Nat. Genet., 21, 187–190. 28. White,F.M. (2011) The potential cost of high-throughput proteomics. Sci. Signal., 4, pe8. 23. Hunter,T. (1998) The Croonian Lecture 1997. 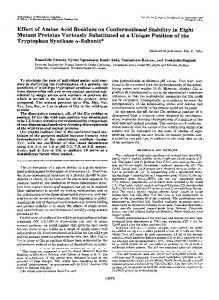 The phosphorylation of proteins on tyrosine: its role in cell growth and disease. Philos. Trans. R. Soc. Lond. B Biol. Sci., 353, 583–605. 29. Beausoleil,S.A., Villen,J., Gerber,S.A. et al. (2006) A probabilitybased approach for high-throughput protein phosphorylation analysis and site localization. Nat. Biotechnol., 24, 1285–1292. 24. Sugimura,M., Kobayashi,K., Sagae,S. et al. (2000) Mutation of the SRC gene in endometrial carcinoma. Jpn. J. Cancer Res., 91, 395–398. 30. Tan,C.S., Jorgensen,C. and Linding,R. (2010) Roles of "junk phosphorylation" in modulating biomolecular association of phosphorylated proteins? Cell Cycle, 9, 1276–1280. 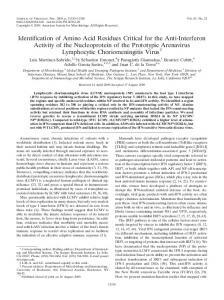 Report "Critical amino acid residues in proteins: a BioMart integration of ..."